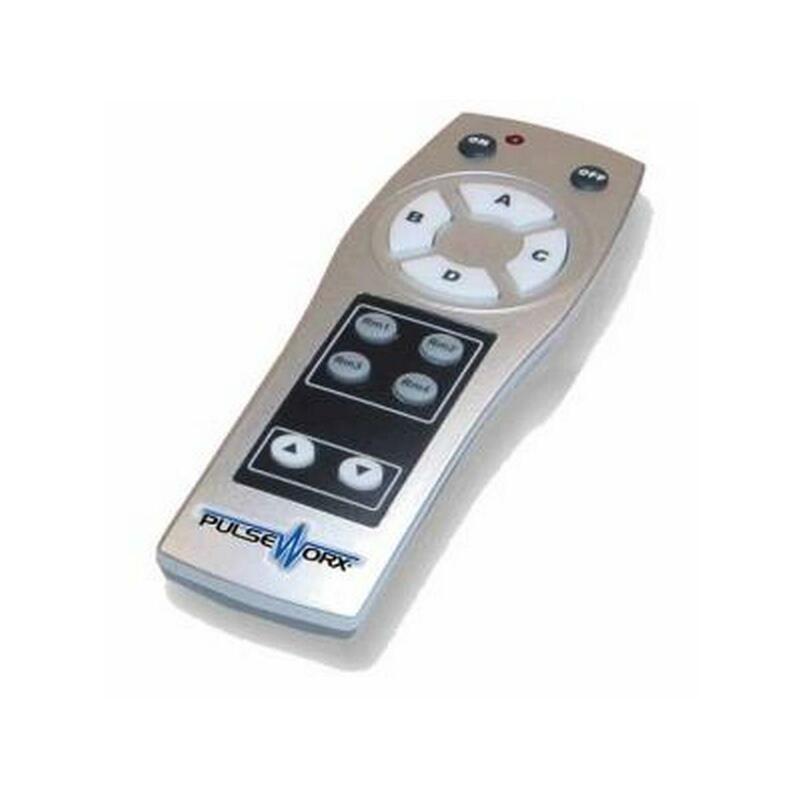 The IRR-2 is a small infra-red remote control which reproduces all of the pushbuttons on the 6-Button Keypad Controller. Pressing a button on the IRR-2 causes the KPCx-6 to perform the same action as if the same pushbutton were physically pressed on the KPCx-6. 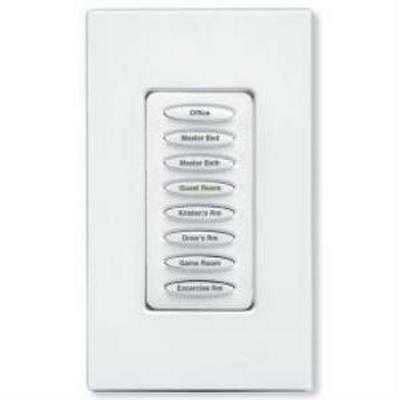 Turn on and off lights or activate scenes from the comfort of your family room couch or chair up to 75 feet away! 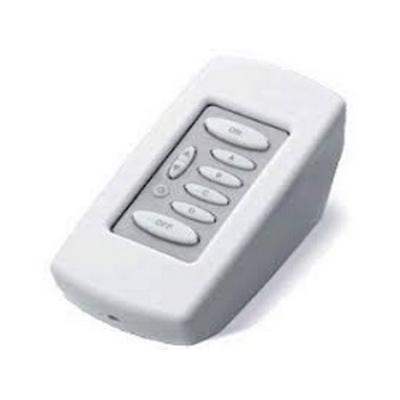 The KPCD-6 6-Button Keypad Controller is a high quality home automation keypad device that is capable of transmitting and receiving digital commands and status over the existing powerlines. 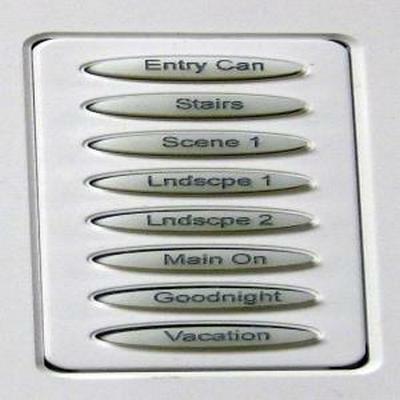 The 6-Button Keypad can control single lights, trigger dramatic scenes, or send messages to a central controller. Select from 16 commands to be transmitted when each pushbutton is tapped, double-tapped, held or released. This allows the KPC to remotely control other UPB-compatible devices and/or update feedback indicators (like LEDs). 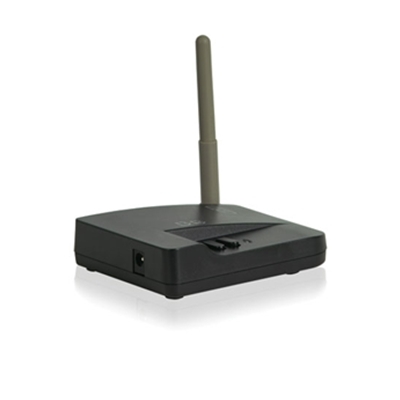 The KPCD-6 is a plug-in desktop device that plugs into any 120VAC electrical outlet. 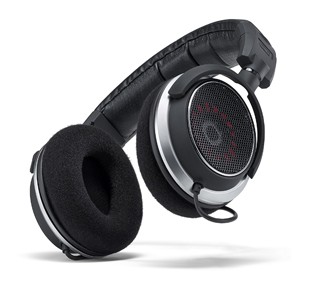 It comes in either white or black with a gray insert. 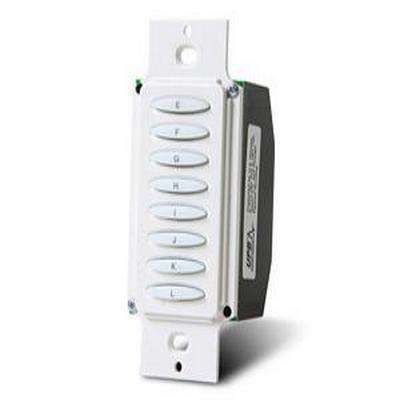 The KPCW-6 6-Button Keypad Controller is a high quality home automation keypad device that is capable of transmitting and receiving digital commands and status over the existing powerlines. 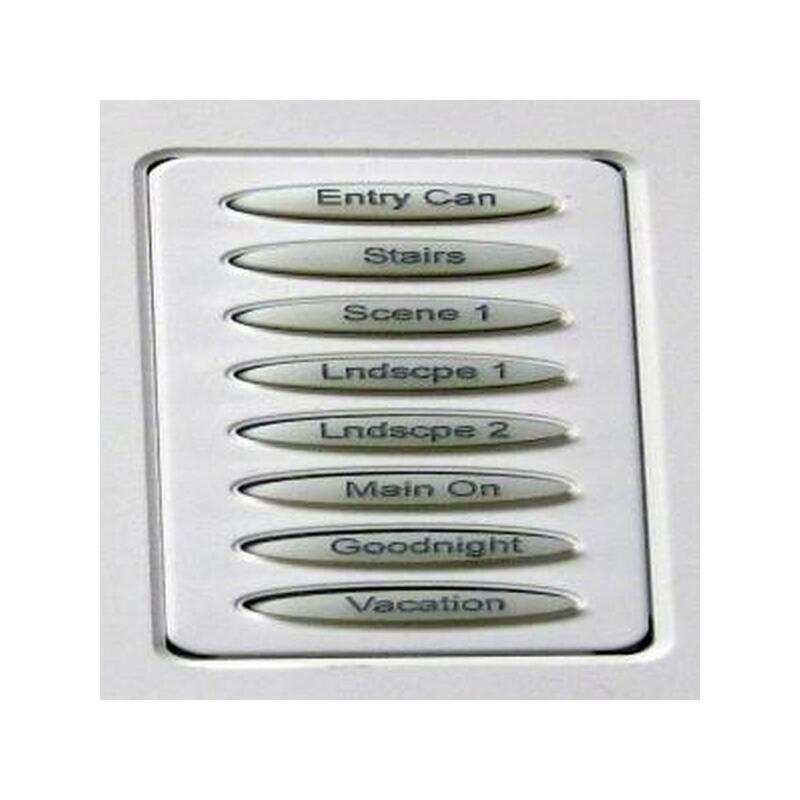 The 6-Button Keypad can control single lights, trigger dramatic scenes, or send messages to a central controller. The KPCW-6 is a wire-in wall mounted device. Installation is simple – just mount in a wall box and connect to line and neutral. Available in six different colors: white, almond, ivory, brown, black and grey to match practically any décor. 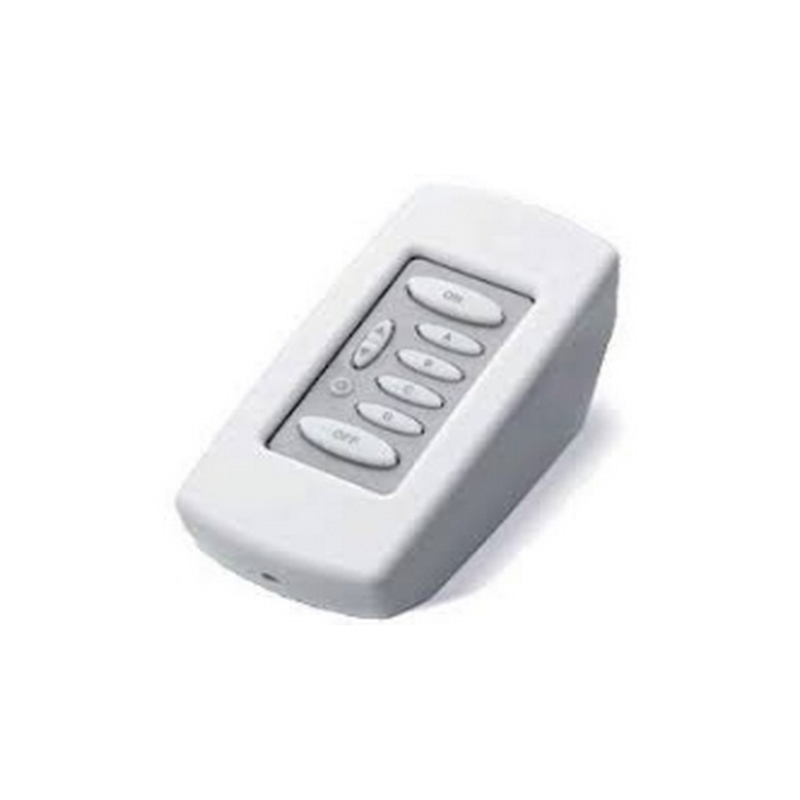 The KPCW-8 8-Button Keypad Controller is a high quality home automation keypad device that is capable of transmitting and receiving digital commands and status over the existing powerlines. 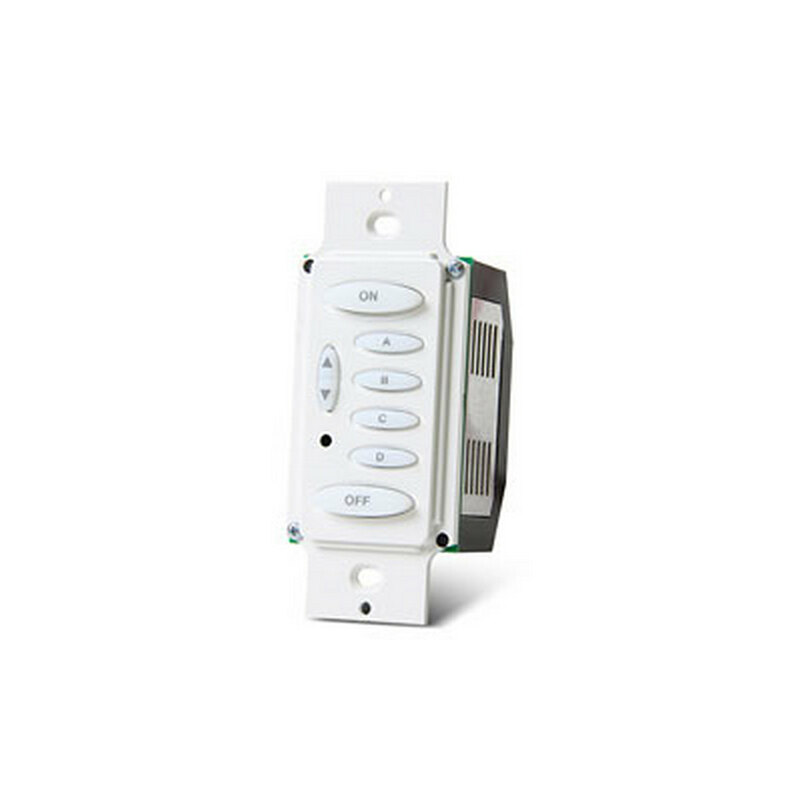 The 8-Button Keypad can control single lights, trigger dramatic scenes, or send messages to a central controller. The KPCW-8 is a wire-in wall mounted device. Installation is simple – just mount in a wall box and connect to line and neutral. 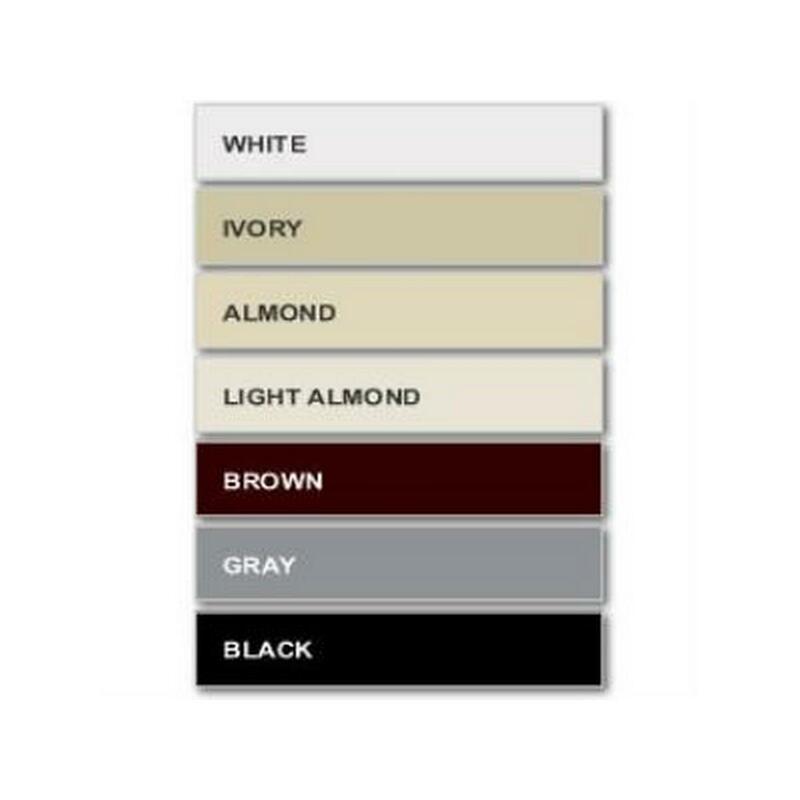 Available in six different colors: white, almond, ivory, brown, black and grey to match practically any décor. with a light level to create inviting moods right out of the box. 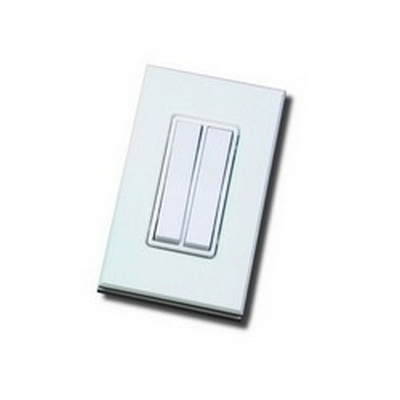 The Dimmer controls incandescent lights, low-voltage halogen, magnetic or dimmable electronic transformers. 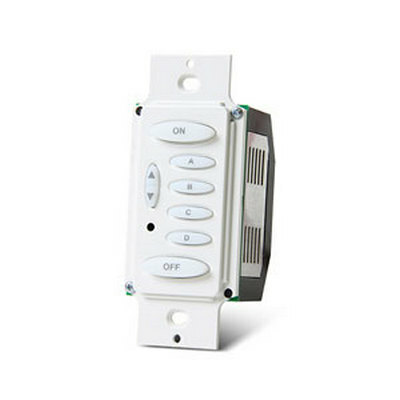 There is also the capability to set the KPLD to a non-dimming mode in order to control such loads as fluorescent lights. pushbutton. The 8-button has eight horizontal pushbuttons. 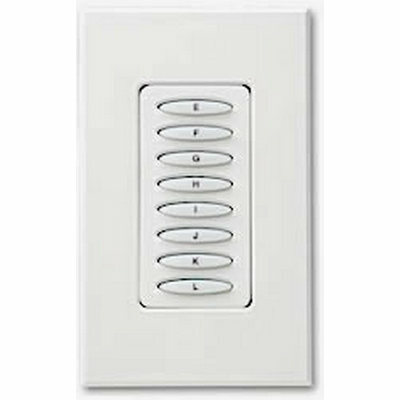 Each horizontal button can be custom engraved (minimal charge) for ease of use and to add beauty and functionality to any room. The KPLD is a wire-in wall mounted device. Installation is simple – just mount in a wall box and connect to line and neutral. 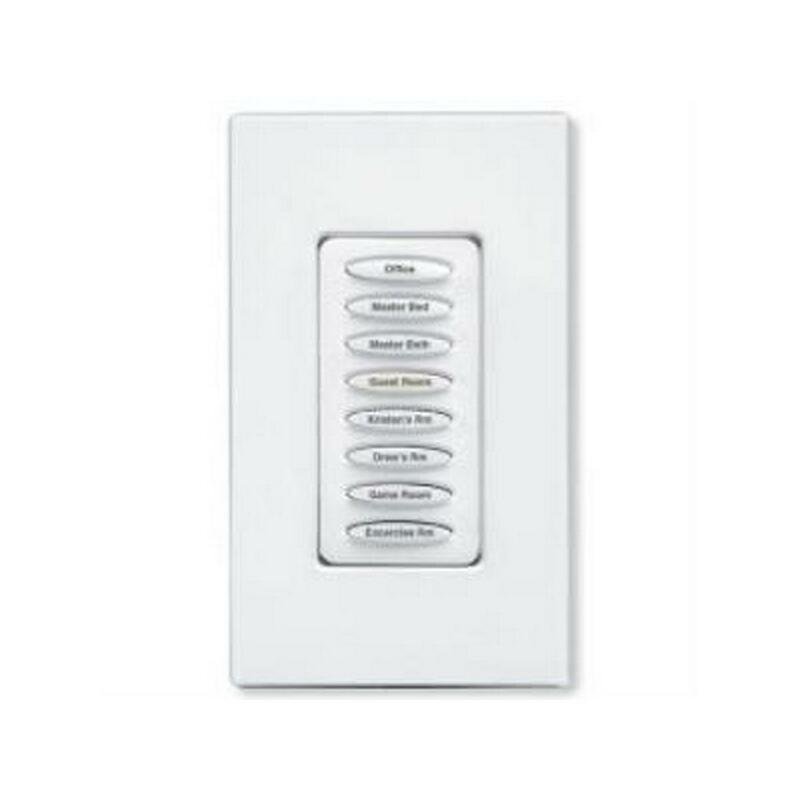 The Radio Frequency Wall Switches are a set of wireless/battery-less devices designed to control your PulseWorx lighting system remotely. 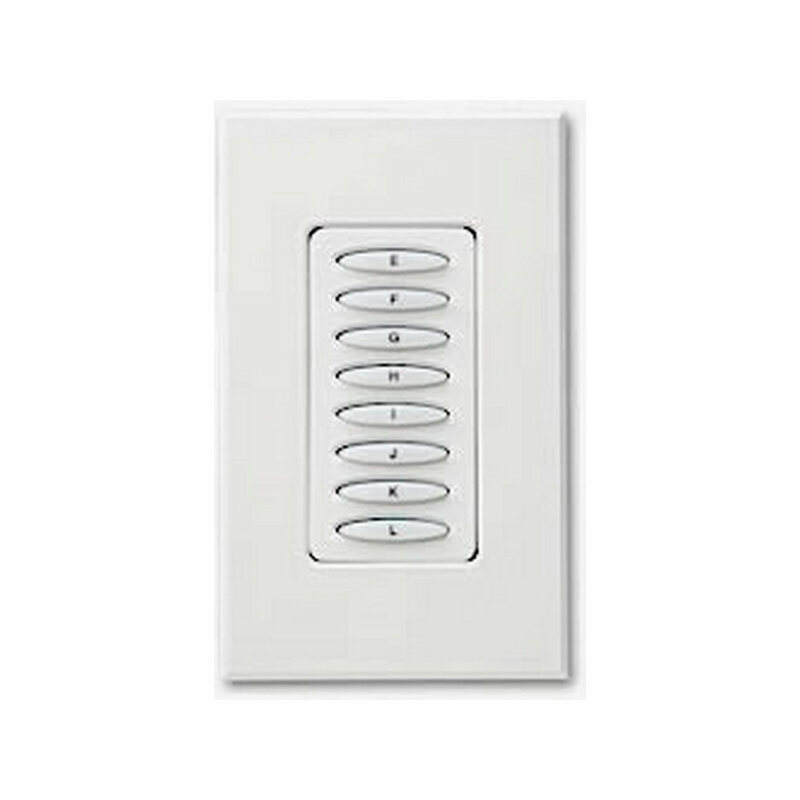 The Wall Switches provide both single and dual wall mounted rocker switch control to areas where AC power is not conveniently available. The RFWS are available in two versions, a single rocker style and a dual rocker style, both fit in a standard decorator style wall plate and junction box. 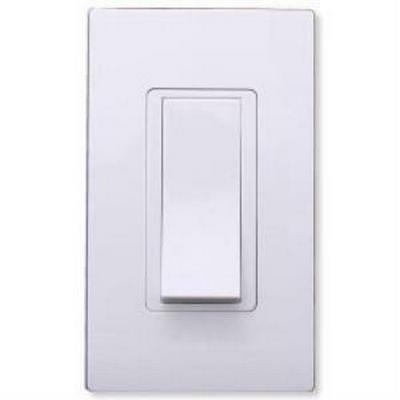 The dual rocker version has the function of two dimmers in one unit. 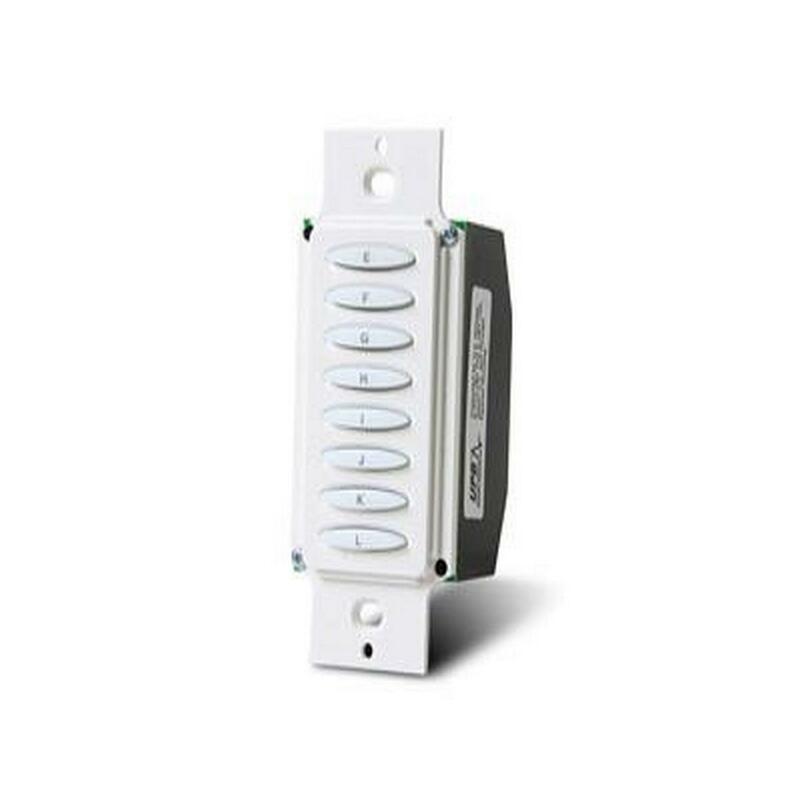 Developed for indoor use, however if installed in a weatherproof box and the addition of the silicone cover enables a variety of other options for control. Available in white, light almond, ivory, black and brown will match any décor. 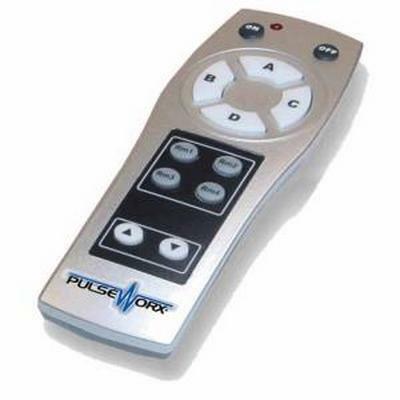 Pulseworx KPLDD-6-W Keypad controller & desktop dimmer.6 button.